You can find more information about the individual cookies we use and the purposes for which we use them below. We do not use all cookies on all of other websites. A cookie is a small file placed onto your device that enables GSX Group websites features and functionality. Cookies enable us to identify your device, secure your access to GSX Group Accounts Centre website, and even help us know if someone attempts to access your account from a different device. Cookies also enable you to easily share content. If you’re signed in to GSX Group websites, cookies help us show you the right information and personalize your experience. Cookies can tell us which language you prefer and what your communications preferences are. They can help you fill out forms on GSX Group of companies websites more easily. They also provide you with features, insights, and customized content. DNT is a concept that has been promoted by regulatory agencies such as the U.S. Federal Trade Commission (FTC), for the Internet industry to develop and implement a mechanism for allowing Internet users to control the tracking of their online activities across websites by using browser settings. The World Wide Web Consortium (W3C) has been working with industry groups, Internet browsers, technology companies, and regulators to develop a DNT technology standard. While some progress has been made, it has been slow. No standard has been adopted to this date. As such, we does not generally respond to “do not track” signals. Cookies and other ad technology help us understand and improve our service. They also help us provide aggregated auditing, research, and reporting for advertisement purposes, understand and improve our service. 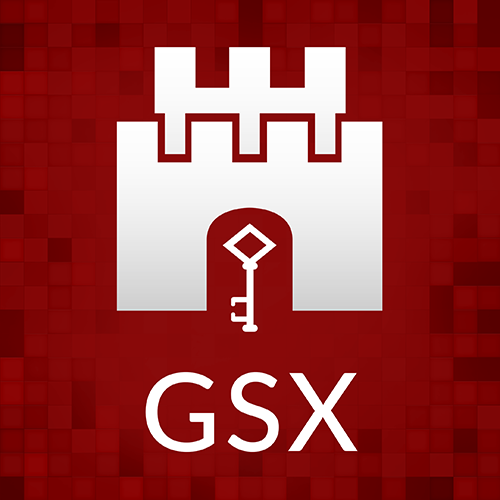 If you log in/register/subscribe to our newsletter or contact us through our website on a browser, GSX Group may still continue to log your interaction with our services on that browser for up to 30 days in order to generate usage analytics for our services. The cookie table below lists some of the third party cookies on our website. Please note that the names of cookies may change over time. Please also note that third-party website you may be redirect to probably use other third-party cookies. If you want to learn more about third party cookies used in our website, contact us as per your convenience. Google reCAPTCHA – We may use reCAPTCHA solution for preventing spam requests on our public contact forms, and user signup pages. Doubleclick.net – We may gather analytical data about how you engage with our advertising to improve advertising relevance and website performance. The cookie does NOT in any way identify you or give access to your device. You can choose to have your computer warn you each time a cookie is being sent, or you can choose to turn off all cookies. Most browsers allow you to control cookies through their settings preferences, you do this through your browser settings. Each browser is a little different, so look at your browser’s help menu to learn the correct way to modify your cookies. However, please note that if you limit the ability of GSX website to set cookies, you may worsen your overall user experience and won’t be able to access some of the website’s functionalities. Any changes we may make to our cookies policy in the future will be posted on this page. Please check back frequently to see any updates or changes to our cookies policy. We have appointed a data protection officer who is responsible for overseeing questions in relation to this cookies policy. If you have any questions about this privacy notice, including any requests to exercise your legal rights, please contact us using the details set out below.